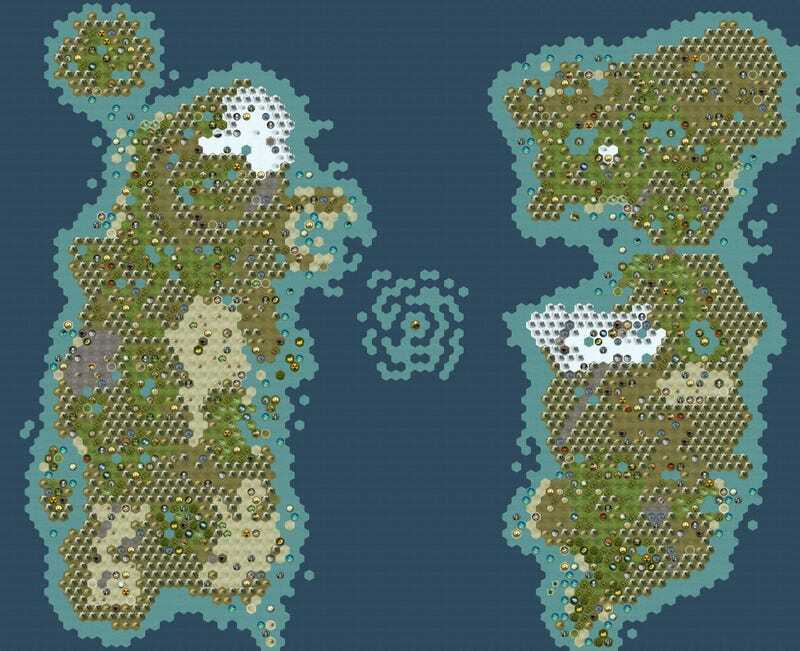 We're surprised it's taken this long, but somebody has finally gotten around to recreating World of Warcraft's land of Azeroth in PC strategy game Civilization V.
It's not some kind of fancy total conversion of the game or anything, so don't expect new units or rules customised for World of Warcraft players. Considering Civilization V only just came out, that sort of thing is going to be months away. It's just a Civilization V map that looks like the land of Azeroth, right down to the maelstrom in the middle of the ocean. Just imagine that instead of Alliance and Horde there's the English and Indians and you'll be fine! If you'd like to give it a try, you can grab it from fan site Civ Fanatics.